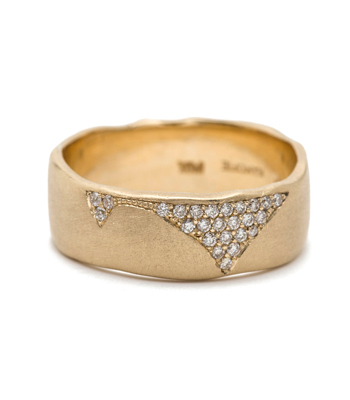 This is a ring you might fall in love with. 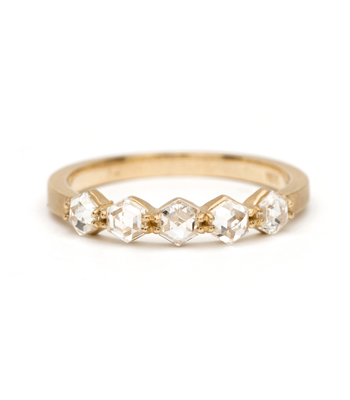 Artfully crafted in solid 18K gold and in true Art Nouveau form, this Vintage Engagement Ring is full of subtle details and understated beauty. 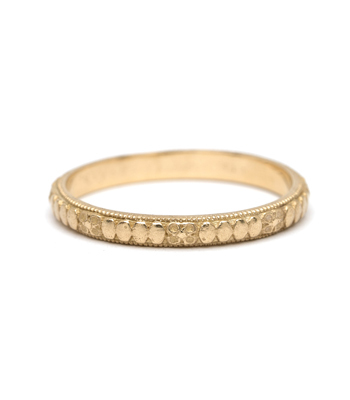 Raised flowers and vines wrap around the band, highlighted by one european cut diamond. 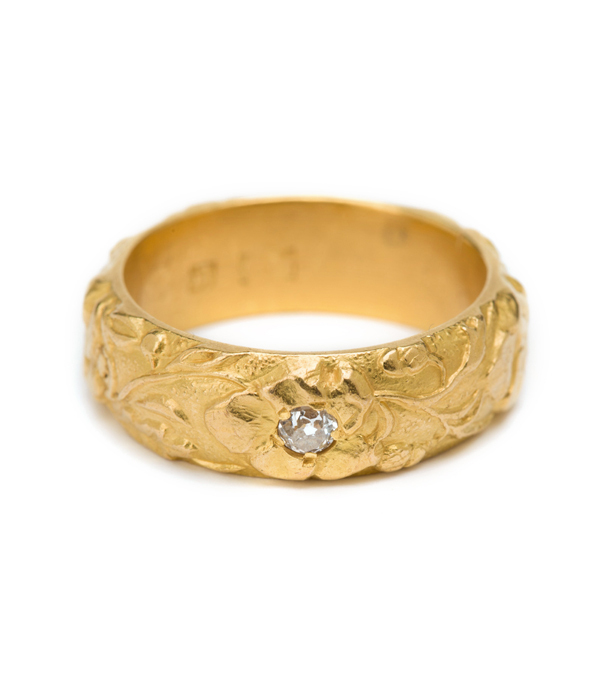 A superb Vintage Wedding Band for the bohemian bride! 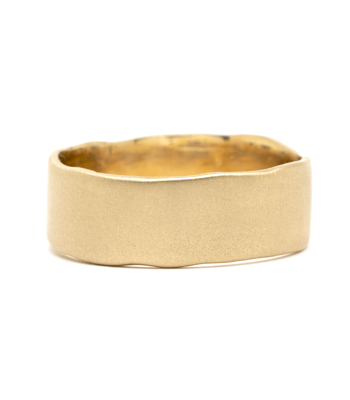 The ring has a maker’s mark and is a size 6. 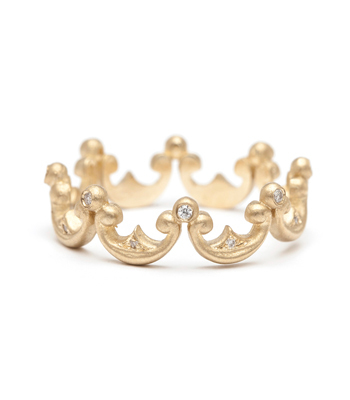 Due to its intricate carvings this ring cannot be sized.